Work to make potatoes more nutritious by using nanoparticles is proving promising, according to the AHDB-funded researcher involved. Andrew Blake reports. Trials applying nanoparticle formulations of iron and calcium to potatoes have not only improved the uptake of those elements – they have led to earlier flowering, brought harvest forward by two weeks, produced more uniform tubers and raised yields and dry matters, according to Karen Davies, of the School of Science and Technology at Nottingham Trent University. In five trials yields were raised by 22-25%, dry matter content was increased by 5%, and the iron content was lifted by 5%, she says. Nanoparticles are tiny – less than 100 nanometers in size (a thousand times less a human hair’s width) - but they have considerable potential in crop production, adds Ms Davies who is working on a PhD project*. Cost: £100,000 – Primary funding by BBSRC supplemented by AHDB Potatoes as part of the Industrial CASE Scheme (four-year fully funded PhD studentship with industrial placement). Additional in-kind support from Branston and CIP including field trials, analysis and taste panels. Most soils contain plenty of iron but it is poorly available to plants, and chelated iron fertilisers are costly and offer only limited benefits, she says. Her supervisor Dr Gareth Cave has developed a machine able to produce high outputs of nanoparticles, up to 1kg/hour, making a fertiliser approach potentially viable. 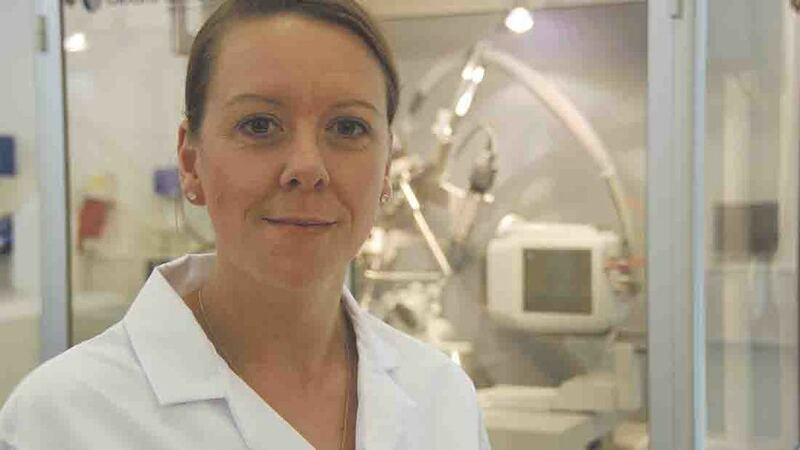 The use of nanoparticles is controversial, says Ms Davies. “But nanoparticles are all around us in the air we breathe – in dust and some pollen particles to foods such as cornflour and icing sugar. Iron (III) oxide or ferric oxide is the inorganic compound with the formula Fe2O3. It is one of the three main oxides of iron, the other two being iron (II) oxide (FeO) and iron (II,III) oxide (Fe3O4). “The iron oxide liquid [iron III/II] plant feed which I use should be commercially available as a home and garden product in September. “Iron [III] binds tightly to the soil unlike iron [II] found in commercial Fe-EDTA and other forms of chelated iron. Toxicity studies show the nanoparticles have no significantly adverse effect on freshwater shrimps, and may even help control soil bacteria which cause soft rots, she adds. Her work on potatoes is part of wider research into the impact of various iron, calcium and zinc nanoparticles on other crops including tomatoes, chilies, spring onions and strawberries testing foliar, soil, drench and seed-coating application methods. The research has involved hydroponic and greenhouse trials and has been extended into the field through collaboration with Branston PLC and CIP, the International Potato Centre (Centro Internacional de la Papa). “In this third year the project is repeating trials to substantiate data and to focus on the pathway the iron nanoparticles take to be used by the plant. Dr David Nelson is field director for potato supplier Branston, which handles about 350,000 potatoes a year at its three sites across the UK. “We’ve been pleased to participate in field trials on the use of liquid iron oxide based on nanoparticles in potatoes,” he says. 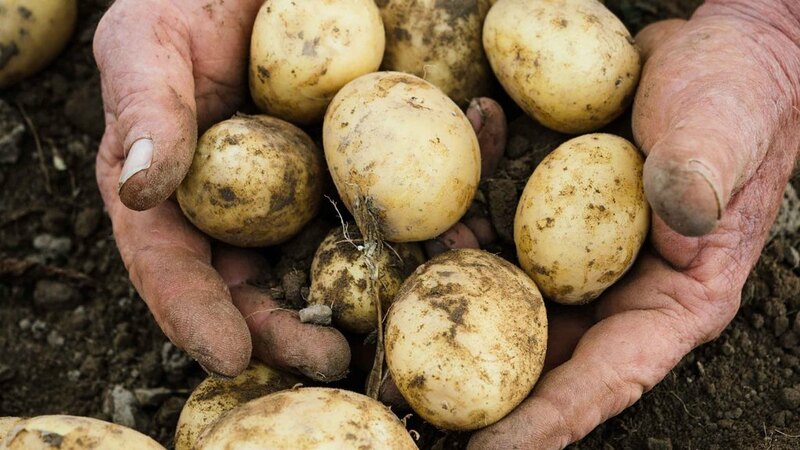 Sustainability – as a business and for the potato industry as a whole – is a big part of the company’s ongoing focus for investment. “It’s not just about jumping on the latest ‘green’ bandwagon, but assessing what will work. 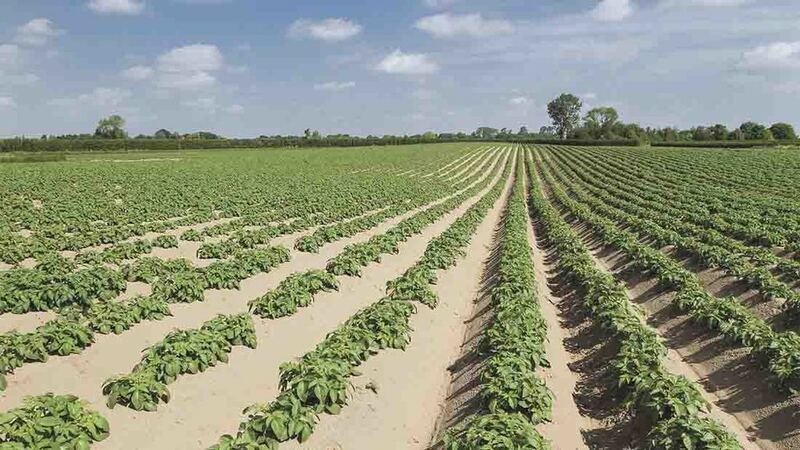 “Last year we compared a range of soil and foliar iron treatments, and while we were unable to confirm impacts on plant growth and development, we did increase the iron levels in tubers. Last year’s tests showed the iron content of tubers from different sites ranged from 50-700mg/kg, Dr Nelson says. Last year’s treatments were applied as coarse liquid sprays, so aerial contamination by free nanoparticles, if any, should be very limited, Dr Nelson says. Next: On-test: Has Toyota done enough with latest Land Cruiser?